The first RFF meeting. It was in Lusaka in August 2015. The account of the planting, sprouting and spreading of the (Dutch) Reformed Family in Africa, is a remarkable story. It speaks of so many missionaries (men and women) and their loved ones who scarified their whole lives for a calling to carry the message across boundaries and make disciples. But it is also a story of the enthusiastic response to the message by the recipients and how they faithfully participated in the continuous process of disciple making, mostly against much resistance and regardless of suffering. Today, the churches in this Reformed Family – and most ministers and members – are often surprised to (re)discover that they are indeed part of an amazing family, that they are sister churches, inalienably bounded by ties of a shared history, a communal confessional identity and a joint calling. What an encouragement it is for the smaller and struggling sisters to realise they are part of a much bigger, caring family! 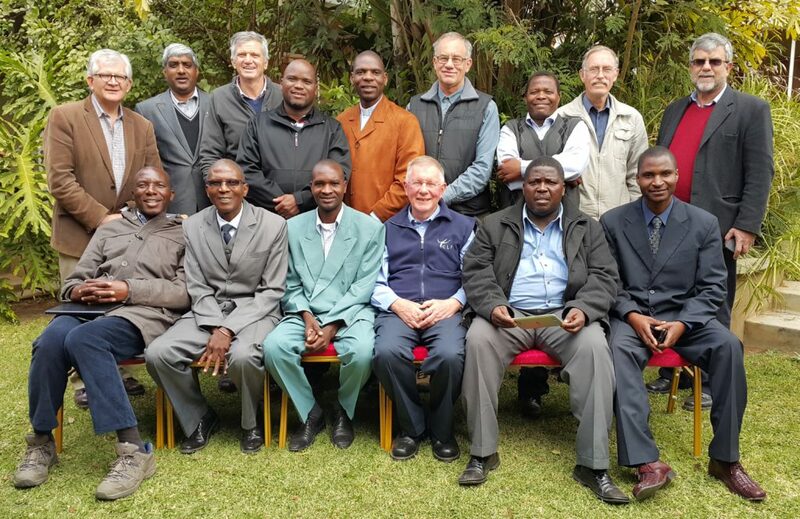 The General Secretaries of our Dutch Reformed Church family in Africa held their first RFF (Reformed Family Forum) meeting in 2015 and, since then, have come together once a year in one of the member-countries. In 2015 the first meeting was held in Lusaka, Zambia, in 2016 they came together in Salima, Malawi and in 2017 the 13 churches gathered in Benoni (close to Johannesburg) from 28 – 30 July. Not only does this event strengthen our collective memory as a church family, it also provides a valuable platform where we can share our challenges and success stories with each other every year. 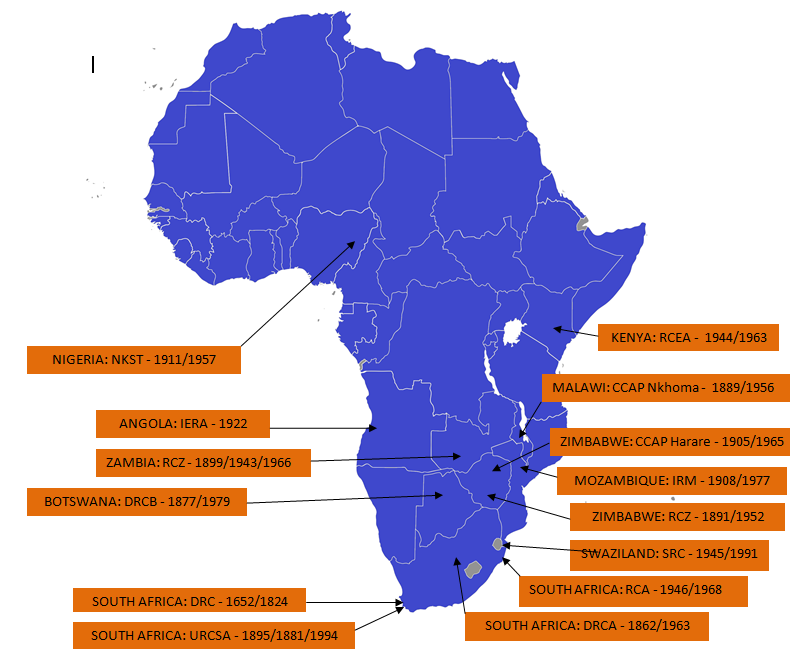 Our sister churches in Swaziland, Botswana, Zimbabwe, Zambia, Malawi, Mosambique, Kenya and Nigeria have developed and grown since the 19th century, thanks to the missional drive of missionaries from the Dutch Reformed Church, and now form part of the Reformed Family Forum (together with the DRC, URCSA in South Africa and Namibia). It is quite difficult to determine the exact dates: did the church only begin when the first missionaries arrived, or perhaps earlier? Should the date of the establishment of the first organised congregation be taken as date of birth? In many cases the embryonic church was already in existence when missionaries, evangelists or sick-comforters arrived. On the map we indicate the approximate date of birth of each church, followed by the date when the synods had their first meetings.